Mr. Abdul Matlub Ahmad is a renowned entrepreneur, versatile industrialist and a firm believer in achieving national development and economic growth through creation of employment opportunities. Besides heading the Nitol Niloy Group as the Chairman, Mr. Ahmad is the Founder and President of India-Bangladesh Chamber of Commerce and Industry and has also served as the President of Federation of Chamber of Commerce and Industries (FBCCI). He is also the founding President of Bangladesh Automobiles Assemblers & Manufactures Association, Bangladesh–Malaysia Chamber of Commerce & Industries, and Director of Bangladesh Thailand Chamber of Commerce & Industries. He has an MA in Economics from the University of Oxford, UK. 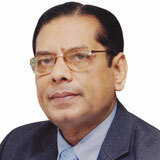 Former President, The Federation of Bangladesh Chamber of Commerce & Industry (FBCCI), Bangladesh. 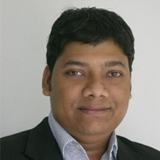 Mr. Mir Nasir Hossain is a bright and talented businessman in the Bangladesh’s commercial domain. 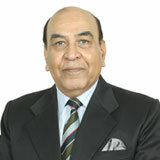 He is a former President of apex organization of country’s businessmen, FBCCI. Mir Nasir Hossain achieved unprecedented success, through development plans stretched far in trade and commerce, industry, finance and insurance sector. 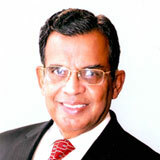 He served as the Executive Committee Member of SAARC Chamber of Commerce and Industry for the term 1998-2000. 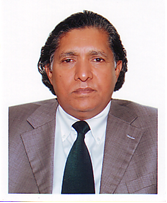 He was the immediate past Senior Vice President of SAARC Chamber of Commerce and Industry. Professor, & Coordinator, ASEAN-India Centre (AIC), Research & Information System for Developing Countries (RIS), New Delhi, India. 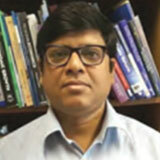 Dr. Prabir De is a Professor at the Research and Information System for Developing Countries (RIS). He is also the Coordinator of ASEAN-India Centre (AIC), RIS. Dr. De works in the field of international economics and has research interests in international trade and development. He was a visiting Fellow of the Asian Development Bank Institute (ADBI), Tokyo; and visiting Senior Fellow of the United Nations Economic and Social Commission for Asia and the Pacific (UNESCAP), Bangkok. He has been conducting policy research for the Government of India and several international organizations. He has a Ph.D. in Economics from Jadavpur University, Calcutta. 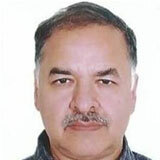 He has contributed several research papers in international journals and written books on trade and development. His recent edited books include “Myanmar’s Integration with the World: Challenges and Policy Options” (Palgrave Macmillan, 2017) and “Twenty Years of BIMSTEC: Promoting Regional Cooperation and Integration in the Bay of Bengal Region” (Knowledge World, 2018). He is the Editor of the South Asia Economic Journal, published by Sage. Distinguished Fellow, Center for Policy Dialogue (CPD), Bangladesh. Dr. Mustafizur Rahman is an Economist by training. He is currently serving as the Distinguished Fellow, Centre for Policy Dialogue (CPD), Dhaka, Bangladesh, prior to which he served as CPD’s Executive Director for ten years. Earlier Dr. Rahman had taught at the University of Dhaka for twenty-five years. Dr. Rahman was a Visiting Post-doctoral Fellow at Oxford University and Warwick University, UK and a Senior Fulbright Fellow at Yale University, USA. His recent research focus has been on Bangladesh’s macroeconomic performance, trade policy and external sector performance, WTO negotiations and interests of the LDCs, regional cooperation and economic integration in South Asia, graduation of LDCs and Sustainable Development Goals. He has published widely in Bangladesh and abroad. 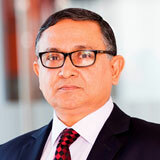 Professor Rahman has served as a member of various national bodies set up by the Government of Bangladesh including Regulatory Reforms Commission, Core Committee on Connectivity, National Coal Policy Review Committee and WTO Advisory Committee. Professor Rahman was a member of the Panel of Economists for the Sixth and the on-going Seventh Five Year Plans of Bangladesh. Mr. Goutam Ghosh is currently serving as the Senior Director of FICCI. In his capacity at FICCI, he heads the domain of South Asia, Arab & Israel, where he is primarily responsible for institutional work in the Arab countries. A seasoned policy researcher, Mr. Ghosh has provided advocacy, and outreach to sectorial investors and stakeholders of member countries. Assistant Professor, Department of Political Science, Khalsa College, University of Delhi, India. 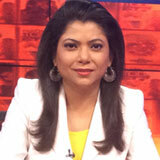 Manasi Pritam teaches International Politics at the University of Delhi. She has specialised in Diplomacy and Disarmament (MPhil) at the Jawaharlal Nehru University where she is pursuing a PhD on India’s foreign policy focussing on humanitarian interventions, nuclear proliferation and non- alignment. She has previously worked with the Institute of Defence Studies and Analysis, New Delhi and the Ministry of External Affairs, Government of India. Apart from her academic pursuits, her research interests include- Conflicts in South Asia, National Security and Popular Culture in International Politics. Former Chief of Army Staff, Bangladesh Army. General Muhammad Abdul Mubeen is a retired four-star General and the 12th Chief of Army Staff of the Bangladesh Army. He graduated from Bangladesh Military Academy in 1976 and later undertook professional courses and training both at home and abroad. He is a graduate of Defence Services Command and Staff College and National Defence College, Bangladesh. His command stints include commanding two infantry battalions, an infantry brigade, and two Infantry Divisions. He served as the Commandant of Defence Services Command and Staff College and also the Director General, Bangladesh Institute of International and Strategic Studies. He was the Principal Staff Officer, Armed Forces Division, Prime Minister’s Office. General Mubeen has chaired and been on the panel in a number of national and international seminars and workshops. He has delivered lectures on “Command and Leadership” and “Bangladesh Army’s Challenges and the Future” in Defence Services Command and Staff College and National Defence College, Bangladesh. For his commendable and distinguished service to the Army and the nation the Government of Bangladesh has awarded him the highest military award “Sena Bahini Padak” (SBP). Research Fellow & Coordinator of Internal Security Centre, Institute for Defence Studies and Analyses (IDSA), New Delhi, India. 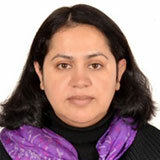 Dr. Pushpita Das is Research Fellow and Coordinator of the Internal Security Centre at the Institute for Defence Studies and Analyses (IDSA), New Delhi, India. Her research areas include border security & management, coastal security, drug trafficking, migration, and India’s Northeast. 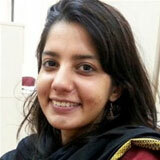 At IDSA, she has been studying India’s approach towards the management of its international borders. She has been co-opted as an expert by the National Security Council Secretariat (NSCS) as well as the Ministry of Home Affairs (MHA) on projects on Coastal Security. Dr. Das has written extensively on her areas of research including: monographs titled Illegal Migration from Bangladesh: Deportation, Fences, Work Permit (2016) and Coastal Security: the Indian Approach (2013); three occasional papers titled Status of India’s Border Trade (2014), Drug Trafficking in India (2012), Coastal Security along Gujarat and Maharashtra coasts (2009); and a number of articles and commentaries in journals and books. 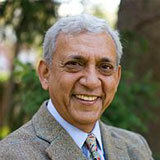 Dr. Das has delivered lectures at a number of training institutes including the Lal Bahadur Shastri Academy of Administration, Mussoorie; Naval War College, Mumbai; Sardar Vallabhbhai Patel National Police Academy, Hyderabad; Sardar Patel Institute for Public Administration, Ahmedabad; and Royal Institute for Governance and Strategic Studies, Bhutan, apart from participating in national and international seminars. Dr. Pushpita Das holds a Doctorate from the Jawaharlal Nehru University. Professor, Department of International Relations, University of Dhaka. Dr. Rashed Uz Zaman has been teaching at the Department of International Relations, University of Dhaka, Bangladesh, since 1998. He holds a Bachelor’s and a Master’s degree in International Relations from the University of Dhaka and obtained a Master’s in Security Studies from the University of Hull, and a PhD in Strategic Studies from the University of Reading. In 2009-11, Dr. Zaman was an Alexander von Humboldt fellow at the University of Erfurt, Germany. He was a Fulbright Visiting Professor in the Department of Political Science at Vanderbilt University in 2012. 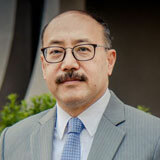 Dr. Zaman works on strategic and international security issues. Recent publications include a chapter on Bangladesh and UN peacekeeping missions in Paul Williams and Alex J. Bellamy (eds. ), Providing Peacekeepers: The Politics, Challenges and, Future of United Nations Peacekeeping Contributions (Oxford: Oxford University Press, 2013). A chapter titled ‘South Asian Regionalism and UN Peacekeeping Missions: A Case of ‘and Never the Twain Shall Meet’?’ has been published in Brendan Howe and Boris Kondoch (eds.) Peacekeeping and the Asia- Pacific (Leiden/Boston: Brill Nijhoff, 2016). His piece “Strategic Culture in South Asia: Kautilyan Sempiternity” in Arvind Gupta, P. K. Gautam and Saurabh Mishra (eds), Indigenous Historical Knowledge: Kautilya and his Vocabulary, Part 3, (New Delhi: IDSA) came out in August 2016. Former GOC 15 Corps & Military Secretary, India. Lt. General Hasnain is an eloquent speaker and writes for major Indian newspapers which include The Times of India, The Indian Express, The Tribune, Deccan Chronicle and The Asian Age. He is also a regular participant in television debates. 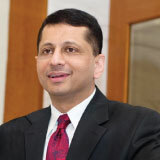 With a strong academic background from Sherwood College, Nainital, St Stephen’s College, Delhi, the Royal College of Defense Studies and Kings College London, and the Asia Pacific Centre for Security Studies, Hawaii, US, he has been at the forefront of encouraging the adoption of the Scholar Warrior concept in the Indian Army. He has served in turbulent environment through most of his 40 year illustrious career and has served in seven tours in Jammu & Kashmir, in every rank, has been decorated in almost of them and is well-acquainted with J&K Conflict. He commanded the Srinagar based 15 Corps and is today one of the most prolific writers and analysts on J&K, Pakistan and transnational extremist violence. From Sri Lanka to Siachen Glacier, from the North East to J&K and in UN operations from Mozambique to Rwanda, he has served in numerous crucial appointments. He lectures at the S. Rajaratnam School of International Studies (RSIS) and Institute of South Asian Studies (ISAS), Singapore and is associated with the Vivekanand International Foundation and the Institute of Peace and Conflict Studies (IPCS), New Delhi, India. C M Shafi Sami was an Advisor to the Caretaker Government of 2006. In the 2001 Caretaker government, he was appointed Special Assistant in-Charge of the Ministry of Foreign Affairs to the Chief Adviser. A distinguished diplomat, he was the Foreign Secretary from 1999 to 2001 and served as Ambassador / High Commissioner in Pakistan (1987-91), China (1991-93), Saudi Arabia (1994-95) and India (1995-99). He was concurrently accredited to Mauritius, Democratic Republic of Korea and Kampuchea. As High Commissioner in India, he played a pivotal role in concluding the landmark Ganges Water Sharing Treaty and signing of the Peace Accord that facilitated the return of Chakma refugees from India to Bangladesh. From 1982 to 1987, he served as the Director General (South Asia & SAARC) in the Ministry of Foreign Affairs where he played an important role in the launching of SAARC. He served as the Chief Coordinator of the 1st SAARC Summit and was Deputy Secretary General of that conference. 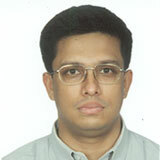 Mr. Sami served as a Member of Bangladesh-India Joint Rivers Commission during that period. After retirement, he has been actively involved in Track II diplomacy. 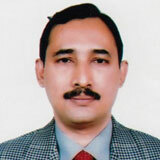 Mr. Md Sayef Uddin worked as Secretary, Ministry of Water Resources Bangladesh and as Secretary attended meeting of Joint River Commission held in Delhi, India, World Water Forum meeting in Kobe, Japan and also attended meeting on Prospects and Problems on Water issues among India, Nepal, Bhutan, Bangladesh, Pakistan, Sri Lanka held in Kathmandu in 2003. Worked as Additional Secretary and Joint Secretary in ERD (1998-2002) and task was to negotiate aid from World Bank, IDB, Japan, USA, Canada, Middle East and European Countries, also worked as Member (Investment Promotion) of Bangladesh Export Processing Zone Authority. 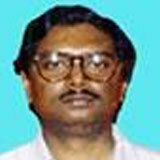 Worked as Deputy Commissioner, Manikgonj and Barisal and SDO, Sylhet and Bhola from 1979-1991. Mr. Md. Sayef Uddin has Masters Degree in Commerce from University of Dhaka in 1967 and also studied at University of Chicago, USA, University of Wales, UK during 1977-78. He is a career bureaucrat and joined the service in 1970. After retirement in 2003 he worked as Country Representative of Islamic Development Bank, Jeddah in Bangladesh (2004-2009). A power sector professional with about 32 years’ experience in the Indian Power sector, Mr. Saxena has been with NTPC Limited. 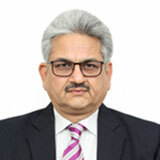 Mr. Saxena has progressed through the ranks of NTPC and worked in the wide spectrum of functional areas such as project planning and construction, project procurement, commercial, corporate planning, strategy and business development at greenfield projects and corporate offices in the company and its joint ventures. He was instrumental in setting up of NTPC’s overseas project development investments in SAARC region namely Bangladesh and Sri Lanka. Currently he is leading the business development efforts of NTPC to supplement its own capacity addition plans with forays into new business areas and growth through inorganic routes. 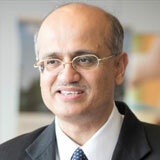 Some of his ongoing initiatives include looking at acquisition of stressed assets, acquisition of underperforming assets of state utilities as well finalizing options and strategies for NTPC’s entry into electric vehicle charging space, water desalination, floating solar plants, and increasing NTPC’s global footprints and cross border power trading ventures etc. Additional Secretary & Member (Energy Efficiency and Conservation), Sustainable and Renewable Energy Development Authority (SREDA), Bangladesh. 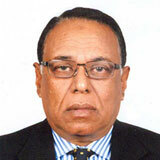 Mr. Siddique Zobair is a career bureaucrat working with Government of Bangladesh for more than 31 years. He has served in energy sector for last 21 years in different capacities. Before joining his present assignment. Mr. Zobair has worked as Joint Secretary of Power Division, Ministry of Power, Energy and Mineral Resources. Mr. Zobair actively works with the government especially in energy sector to identify necessary interventions and to prepare relevant laws, rules and policies to promote energy sector including develop of renewable energy and energy efficiency activities in the country. He has authored several publications in national and international journals. Mr. Siddique Zobair studied from University of Alberta, AIT, Bangkok and Indian Institution of Science, Bangalore. He is also a certified Energy Management Specialist. Senior Fellow, ORF, New Delhi, India. Joyeeta Bhattacharjee is a Senior Fellow at the South Asia Programme of the Observer Research Foundation (ORF), New Delhi, a leading think tank in India. Her research interests include- India’s neighbourhood policy, with special focus on the eastern arch; Bangladesh’s Domestic & Foreign Policy; Border Management, Conflict Resolution and Gender & Foreign policy. 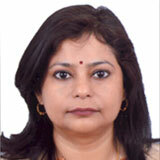 Dr. Bhattacharjee joined ORF in October 2006 and has been pursing research on South Asia. Bhattacharjee regularly contributes Op-Ed articles on India’s neighbourhood policy in major daily newspapers in India including- The Pioneer, The Financial Express, The Hindustan Times, The Economic Times, The Hindu Business Line. She also presented papers in national and international seminars and published articles in many academic journals. Dr. Bhattacharjee holds a Ph.D from Assam University, Silchar. 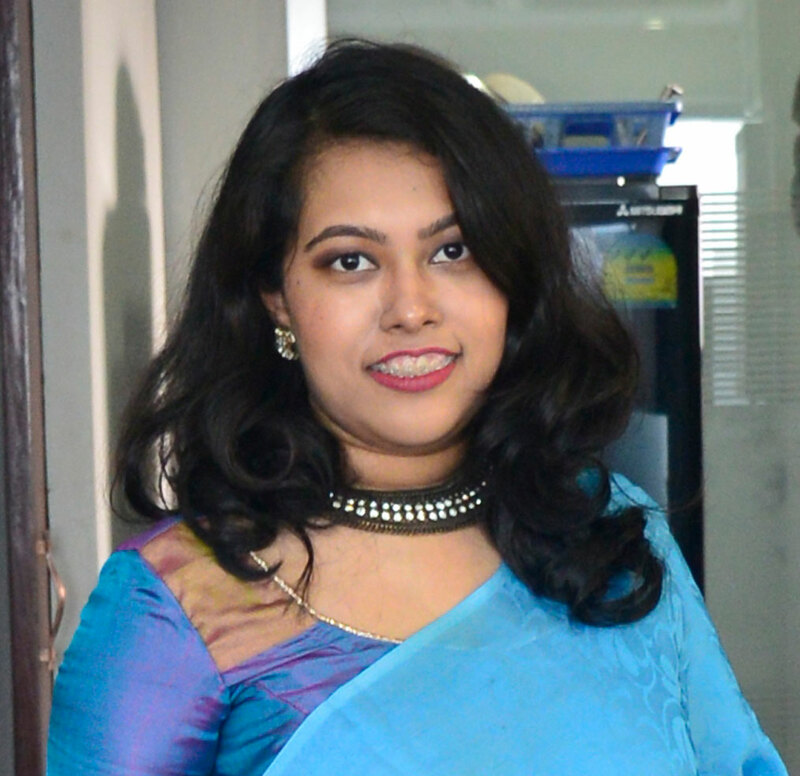 Ms. Avia Nahreen, an Economics graduate from the University of Dhaka has been with IPAG as a Senior Research Associate focusing on issues like Regional Connectivity, Indo-Bangla and Sino-Bangla Relations, Forced Migration, Climate Action and Technology & Development. In her capacity as a Senior Research Associate, she has written for both national and international outlets and has presented at multiple international seminars and conferences. Editor, Hardnews Magazine, New Delhi, India. Mr. Kapoor is the Delhi based Editor of Hardnews Magazine, which is the South Asian partner of French Publication, Le Monde Diplomatique. Mr. Kapoor follows South and West Asia closely and has authored a book on corruption. He is a regular commentator on Indian and foreign TV channels. Managing Partner & Country Head, Grey, Bangladesh. 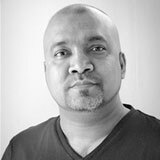 Mr. Alam is the Managing Partner & Country Head of Grey Advertising Bangladesh Ltd.; the Bangladesh office of Grey Global Group. 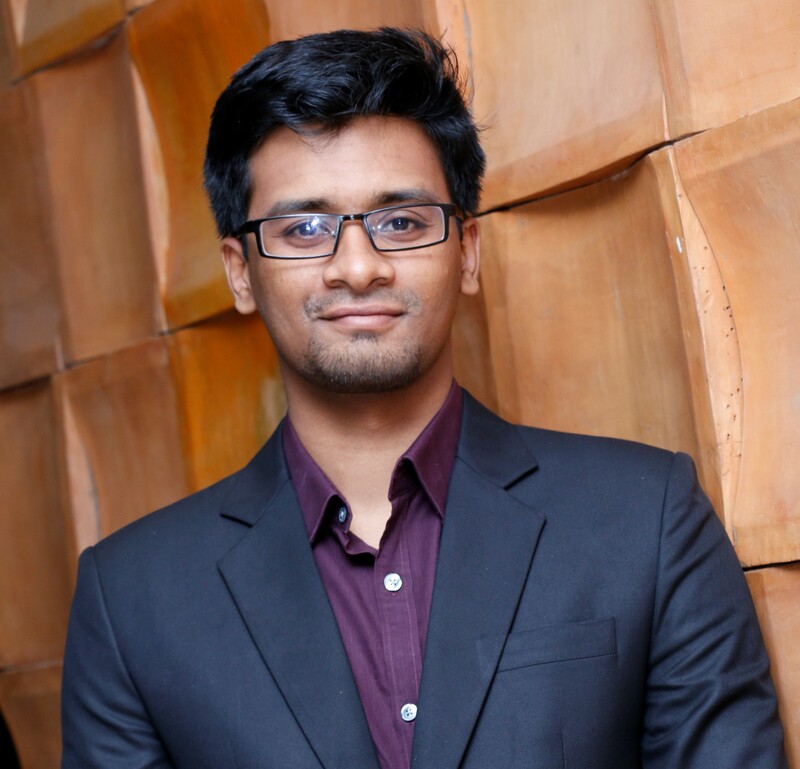 He is also a well-recognized advertising creative in Bangladesh industry. As a successful marketer, he has produced numerous memorable campaigns and has received a Gold in Cannes Lion in 2016, which is considered one of the most prestigious recognitions globally for advertising creative. Mr. Alam is also a film maker and his debut film ‘Aynabazi’, where he contributed as screenwriter, actor and producer, was an instant blockbuster hit. Mr. Alam’s strength lies in decoding the collective unconscious of people in order to understand the hidden truths of peoples’ desires, happiness and ambitions. Currently, he is writing and preparing for his next production with an aim to offer more contemporary contents that Bangladeshi audience has been longing for. Deputy Editor, The Tribune, New Delhi, India. Ms. Smita Sharma is an award winning Senior Journalist currently working with The Tribune newspaper as the Deputy Editor. A former broadcast journalist, she was the Foreign Affairs In-charge and Prime Time Anchor with leading news networks in India including India Today TV , Aajtak , IBN7 and CNN-IBN. In her career spanning 15 years, she has reported on several important national political and global developments including the US Elections of 2016, Terror strikes in Dhaka and Paris, and the Pakistan General Elections. She has also crisscrossed India over the years to cover national politics, the general elections, and natural calamities. She has also been invited to speak in international conferences and appears occasionally as a guest commentator on Television and Online news stations. Her reportage on the uprising in Kashmir in 2010 and subsequent dialogue process won her the prestigious Ramnath Goenka Award. 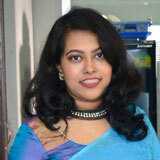 Her coverage of the Shahbagh protests in Bangladesh also won the ENBA Award . Deputy Editor, Editorial & Op-ed, The Daily Star, Bangladesh. 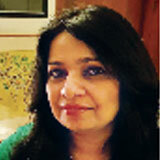 Ms. Aasha Mehreen Amin is Deputy Editor of the Editorial and Opinion section of The Daily Star. She is also a columnist and writes on human rights with special emphasis on gender issues and child rights as well as social trends and current affairs. She has been with The Daily Star for 27 years and was previously Editor of the weekend magazine for 18 years in which she also wrote a satirical column called ‘Postscript’. She has a Bachelor of Science in Economics from Boston College and a journalism fellowship from the University of California, Berkeley. © 2017 IPAG. All Rights Reserved.